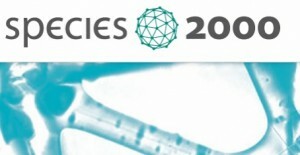 Species 2000 began as a joint programme between CODATA(link is external) (International Council for Science: Committee on Data for Science and Technology), IUBS(link is external) (International Union of Biological Sciences) and the IUMS(link is external) (International Union of Microbiological Societies) in the early 1990’s. In 1996 eighteen taxonomic database organisations agreed to convert Species 2000 into a legal entity as the vehicle for developing the global Species 2000 programme. It is an associate participant in the Global Biodiversity Information Facility ( GBIF(link is external) ); a data provider to EC LifeWatch(link is external) ; and is recognised by the United Nations Environment Program ( UNEP(link is external) ) and the Convention on Biological Diversity ( CBD(link is external) ). Species 2000 is a partner of the Consortium of European Taxonomic Facilities (CETAF(link is external)) and works with their community on the construction of an authoritative taxonomic index of species: Catalogue of Life. Species 2000 has a distributed Secretariat: the administrative office and staff are hosted and sponsored by Naturalis Biodiversity Center(link is external) in the Netherlands, the Editorial Office is hosted and sponsored by the Illinois Natural History Survey(link is external) in the USA, and the Data managers are hosted by FIN(link is external) (the FishBase Information and Research Group, Inc.) in the Philippines.